Scanscot Technology is a knowledge-based company providing engineering services and software products within the field of structural analysis and design. The operations shall be conducted so that the services and the products supplied always meet industry and regulatory requirements and customer requirements for quality, the agreed content, time of delivery and cost. The activities shall be based on systematic work planning, self-control, review and design-documentation, as well as on monitoring to provide feedback of experience as the basis for continuous improvement. Quality objectives are established for each business area and are checked at planned intervals. 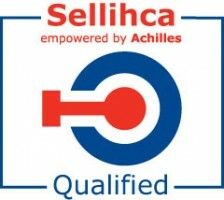 We are certified in accordance with ISO 9001:2008 (quality management) and Sellihca (supplier register and pre-qualification system used by the Nordic utilities).